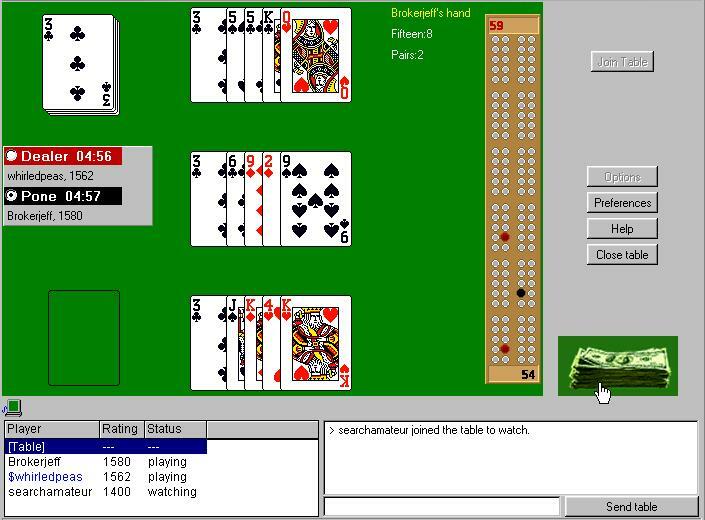 Play cribbage games over the Internet one-on-one against another human player or in large multiplayer tournaments. Or you coud just watch others cribbage game match and learn! Both Five Card and Six Card variations of cribbage are supported. As 6-card cribbage variation is the most common, it is a default variation. By default, the points will be scored automatically both during play and during show-of-cards. With Manual Scoring table option selected, both players will be forced to count their hands -- both during play and during show-of-cards.